Last August, a newly formed operation named ClusterHQ made a very public launch of a completely new and obscure development tool, with a version number that few other companies would dare use for a launch: 0.1. It was a concept called Flocker, named with the hope that it would be even further associated with Docker than just the rhyme. At first, Flocker’s mission was to resolve the disparity between the model of the application with which most developers were already familiar, and the model which Docker was hosting upon the world. It would use something called an ‘app manifest’ to bridge together the various Docker container images that collectively comprise an application, with the intent of making them portable collectively. Portability is one problem that Docker has always claimed it solves, but it does so at the container level, not the application level. If we change our model of constructing applications to one that adheres to the principles of stateless microservices, Docker’s advocates advise, the only problem is with our choice of context. If we stop thinking of applications as contiguous amalgams, we can build a world more in Docker’s image. That might not be what everyone wants. On Wednesday, ClusterHQ formally announced the unveiling of Flocker 1.0. In the intervening year, its mission has evolved dramatically. Its aim is to move persistent data volumes inside of containers as they are relocated. Or, put another way, so much for the stateless container. Perhaps the simplest definition of a stateless service to date, devoid of all its variously extrapolated social, political, and economic implications, comes from OpenStack. Once an interaction with a stateless service is complete, it says, the service should remember nothing about it. It seems like a simple enough concept, until you recognize that most applications in an enterprise produce documents of some form or format. Maybe everything can be stateless on the server side, some have theorized, if you concede that the document gets produced on the client side. Then, of course, there are databases. The model of implementing database management using stateless services is mainly a mental one. Back in November 2013, Docker CTO Solomon Hykes declared the problem of implementing stateless services with Docker already solved, in a message to open source developer Kris Buytaert’s personal blog. Obviously it’s a problem to somebody. In a statement to reporters last August during his company’s official formation, Davis attempted to portray the problem not as Docker trying to resolve the data containment problem and failing, but rather as kicking the can down the road for someone else to solve. In Davis’ recent discussion with us, he tried breaking the problem down more simply: Customers accustomed to the world of virtual machines expect high availability, flexible storage, and the ability to seamlessly migrate data. People expect container data management, in other words, because they expect data management. To the extent that the new environment does not provide these features, it will be rejected. I reminded Davis of the oft-cited “pets vs. cattle” analogy, which suggests that a proper microservices management environment treats containers more like cattle than pets. People may expect management services in the new world to present behaviors and features like those in the familiar old world, I said, but maybe that’s not what these people actually need. Given the distinct architectural differences between these two worlds, I asked Davis, what is the real value proposition for Flocker 1.0 providing customers with an old-world expectation? “The cattle analogy is absolutely where the world wants to go,” Davis responded. “And that’s actually independent of whether it’s a container or a virtual machine or any other technology. People need to be able to treat their underlying infrastructure like cattle, not pets, for everything — for compute, for networking, everything. We want to get to the point where we literally don’t care about any individual member of our herd, and that our systems will operate well no matter what happens to any individual member. Davis now characterizes Flocker 1.0 as the first stage of a completely new journey toward a world where things look more like the Docker ideal of a cattle drive rather than a pet store. For the meantime, version 1.0 will enable a type of portability where the data volume is movable along with the container, rather than separately. He argues this added portability will make it feasible to produce dev/test environments that more accurately reproduce the situations of production environments, where the disconnection and remounting procedure wouldn’t and shouldn’t be happening every day. One possible next step in Docker container evolution from that point, he went on, involves live migration. Until the stateful and stateless sides of the application can be effectively merged, he argued, live migration will be impossible. But would such a merger result in the “holy grail” of perfectly stateless architecture? Would Flocker merely represent an interim transitional state, on the way to this kind of container nirvana? Docker and ProfitBricks are sponsors of The New Stack. 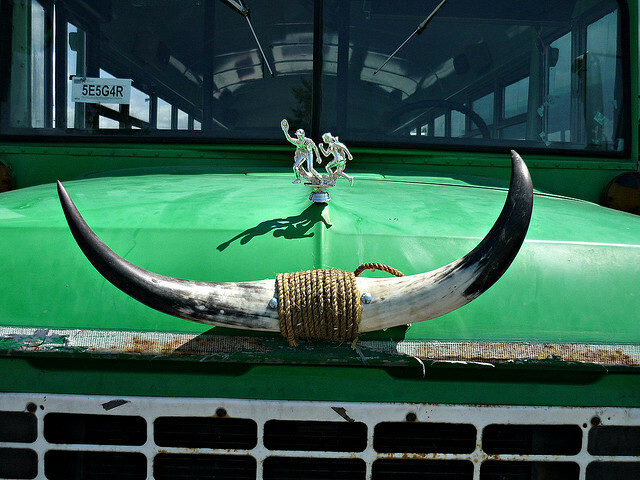 Feature image: “Hood of Dirty Mitts’ Bus” by runran is licensed under CC BY-SA 2.0.